The European Commission has denied allegations of cronyism after a protégé of its president, Jean-Claude Juncker, was given one of the most powerful jobs in the EU civil service. 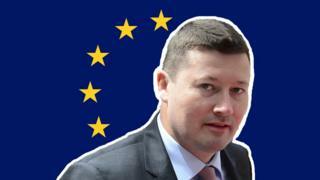 Martin Selmayr has been appointed Secretary-General of the Commission, the organisation that monitors whether countries are sticking to EU rules, dreams up new laws and runs the Brexit talks day-to-day. Normal service in the Brussels bubble temporarily came to a halt when journalists became consumed by the saga. The 40-something former lawyer and media executive from Germany joined the European Commission as a press officer in 2004. He helped run Jean-Claude Juncker's successful campaign to be selected as president of the commission in 2014 and later became his head of cabinet, Brussels-speak for chief of staff. He has earned multiple nicknames, like the Monster or the Beast of the Berlaymont, the name of the building where he works. Admirers, like his mentor the German MEP Elmar Brok, describe a hard-working strategic genius with political nous, who gets much better results than your average official. Detractors say his take-no-prisoners attitude goes too far. Asked about his fierce reputation, Mr Selmayr himself said: "You can't run the European Commission like a Montessori school," referring to the education system that favours child development over passing exams. Brussels-based journalists love to talk about him. Endlessly. Why is he making headlines? Selmayr-slanging has reached new heights. 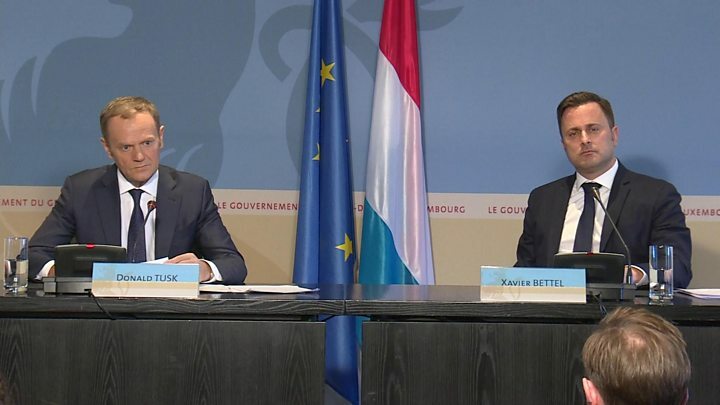 At a surprise press conference in February, Jean-Claude Juncker announced he had been keeping a secret: the commission's top civil servant, the secretary-general, was retiring. Martin Selmayr would take his place. It emerged that Mr Selmayr had applied for the role of deputy secretary-general, got that job and was then instantly promoted. It has been suggested that the only other candidate in the race to become deputy withdrew their application, meaning Mr Selmayr had a clear run to the top. It has been alleged that members of the European Commission were offered more generous severance packages as inducements to smooth Mr Selmayr's path, which is vigorously denied. It is claimed that he even plans to knock down walls in the commission's management suite to cement his power. What does the commission say? The European Commission's spokespeople have endured hours of questioning about the promotion. And I mean hours. Many of the stories are "post-truth", they claim. Especially the one about commissioners' retirement pay-offs. And they say the recruitment process was followed "religiously" which prompted a social-media meme of Mr Selmayr dressed as a nun (I told you journalists were obsessed). Media captionTusk: Theresa May wants Brexit success "at any price"
The European Parliament holding a debate about it on Monday. A motion calls for a formal inquiry into the appointment and more transparency in the recruitment process in general. "The way Martin Selmayr was appointed puts the European institutions into disrespect. If this procedure was corresponding to the rules, the rules have to be changed," said Green MEP Sven Giegold. To MEPs outside the most powerful parliamentary groups it looks like jobs for the boys. To campaigning reporters it smells bad. To less zealous journalists it is great gossip. To Brexiteers it is a "coup" that proves the EU's structures are opaque and undemocratic. To me, it is the latest twist in a long-running tussle over where power lies in Europe: with the member states or with an increasingly political commission that seeks to protect the very idea of the EU.